Security is the mythical hydra of Cloud adoption – it is the number one buying objection; it is the greatest fear; and it is simultaneously the most undervalued and most difficult component of a Cloud strategy upon which to execute. Will founded OC4 in 2008 and with his guidance OC4 has grown to become a trusted partner for many financial institutions. Will holds the highest levels of AWS certifications. He focuses on client delivery and solving challenges using the AWS suite of solutions. Will attended The University of Pennsylvania. 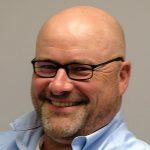 Despite the fact that we are a decade into the “Cloud Revolution,” players in the space such as IBM, NetApp, and EMC have spent years spreading the fear, uncertainty and doubt (“FUD”) about Cloud adoption that causes medium to large Enterprises to give pause when considering their long-term Cloud adoption strategy. Despite the best efforts of these antiquated business models, the industry as a whole has come to the inevitable realization that the flexibility and cost-efficiency of Cloud Computing far outweighs the offerings of the traditional data center. Irrespective of this, security remains the overall the greatest fear, the number one buying objection, and the main reason that organizations hit the pause button in their journey to the cloud. The fear and objections are significantly more for organizations that have a regulatory compliance obligation. 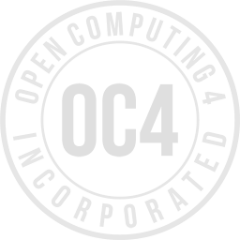 OC4 is well known for our ability to bring our unique expertise on regulatory compliance and security to our customers. We employ counsel that are experts in regulatory compliance, and our Founder and CEO is a SME for AWS on both Security and on AWS Best Practices. We believe in partnering with our customers to fully understand their business, their goals, and their security and compliance postures to ensure our customers’ success. We believe that both the security and compliance postures for any organization (and particularly those with regulatory and compliance obligations) should be evergreen, and that our role as our customers’ trusted AWS advisor is to mitigate today’s real-time risks while assisting with the long-term design that prevents future risk and compliance incursions.